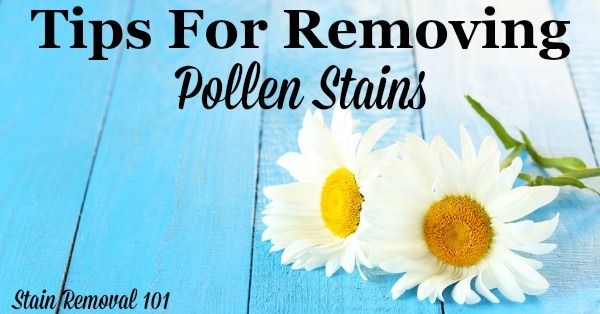 Here is a round up of tips for how to remove pollen stains from many types of items in and around your home, including clothes, carpet, hard surfaces and more. 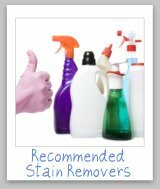 The tips below include some for almost all surfaces, including from carpet, clothing to even hard surfaces. Did you get a stain from pollen while walking in your garden, or the woods around your home? 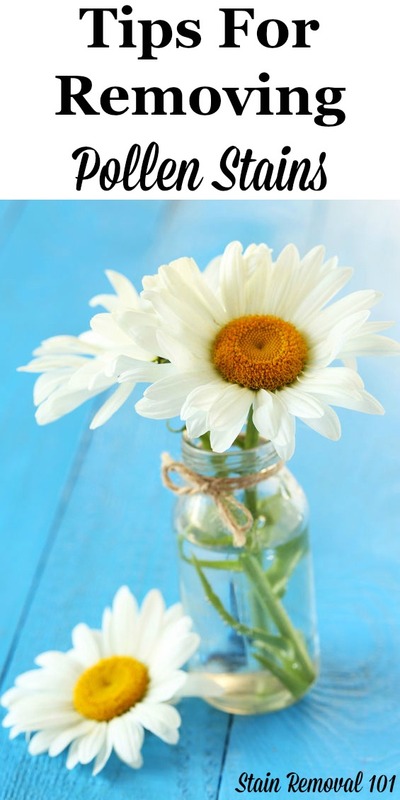 Did those beautiful flowers your spouse gave you end up getting pollen all over your carpet? If you have successfully removed stains caused by pollen from anywhere in your home, or from your clothes we want to hear from you, so you can tell us how you did it. Please tell us what plant the pollen was from, if you know, and what items you removed the pollen from. No tip of your own? Here is my advice for removing these spots from clothes, upholstery and carpet. Tell me below if it worked for you. 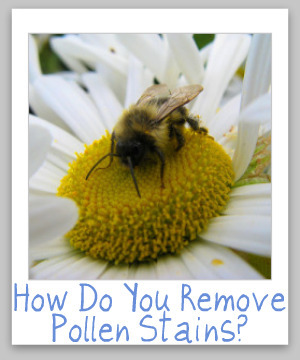 Do You Have A Tip For Removing Pollen Stains? Do you have any tips for removing pollen stains to share, for removing stains caused by pollen from clothes, upholstery, carpet, or anything else? Click the links below to see tips already submitted about removing pollen stains.